The City of Istanbul has got many names in the past centuries and nowadays: Byzantion, Constantinopolis, Constantinople, Estambul, Stamboul, Islambol.Enjoy your holiday in the best 4 star istanbul hotel Antik Hotel Istanbul old city center. 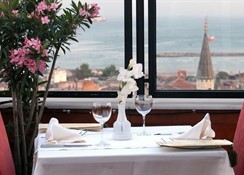 Marmarion Terace Restaurant offers assortments of Turkish and the World cuisine accompanied by a view of the Marmara Sea, Prince’s Islands, Beyazit Tower, minarets of the Blue Mosque, old and new Istanbul. Guests can go through the rich library, play backgammon or chess while sipping your hot-cold drink in Sekbanbasi Cafe & Bar. If guests like, they can use the internet relay computer to check emails and get into touch with their friends and relatives. 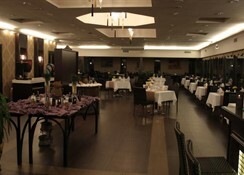 Different organizations for business or on special occasions can be carried out in the multi purpose halls of Antik Hotel. Guests can carry out many organizations such as congresses, meetings, seminars, parties, wedding ceremonies, graduation ceremonies, exhibitions, receptions, launches etc. Some services are with an extra charge and will have to be paid locally. Antik Hotel, where guests can take the best available rates in istanbul, is located in Istanbul Beyazit, right in the center of the chamber formed by historical and touristic places. Guests can visit Roman- Byzantine works of art and the wonderful palaces and mosques of the Ottoman Empire; they can go on a journey to the shopping world in the stores of Laleli, Beyazit and Covered Market. 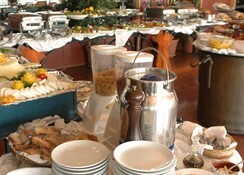 Antik Hotel is 3 km from Taksim and only 15 km from Ataturk Airport. Guests can have access to the light metro, Tramway, Funicular, Train Station, Bus Terminal, Ferry Port and Hydrofoil through a single line. 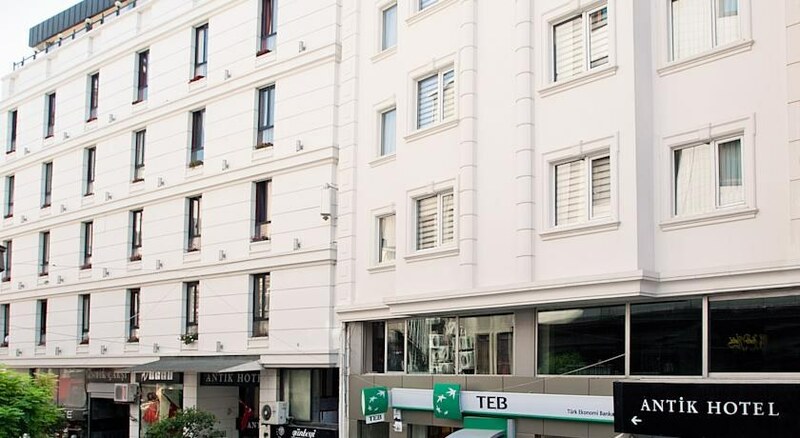 Antik Hotel Istanbul has 94 rooms where of 2 deluxe suits, 4 corner suits, 4 family rooms, 82 standart room, 1 room for handicapped and 1 connected room.Antik hotel holds 2 non smoking floors. 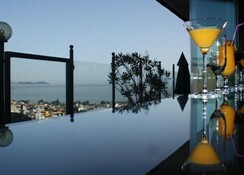 (48 rooms / firs floor -byzantium- and fourth floor -istanbul-). 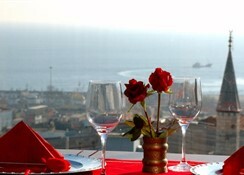 Each floor of the hotel carries a name of the city as it was known at different times throughout the ages. Floors and rooms were designed to reflect the culture and art of their named civilization. 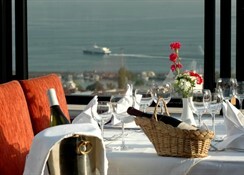 Hotel recommends guests old city 4 star Antik Hotel as one of the best istanbul Hotels. Leaving the airport, turn right at the first intersection, and follow signs to Sirkeci/Sahilyolu. Guests will come to a roundabout with a big fountain in the middle; turn left and follow the signs to Sirkeci. Drive straight along the seaside road for approximately 17 kilometres (11 miles); turn left at the first sign for Aksaray. Drive straight then take the second right. Continuing to drive straight to Beyazit Area. When guests see the Istanbul University Building drive about 300 metres more, and on the right side they will see Antik Hotel.